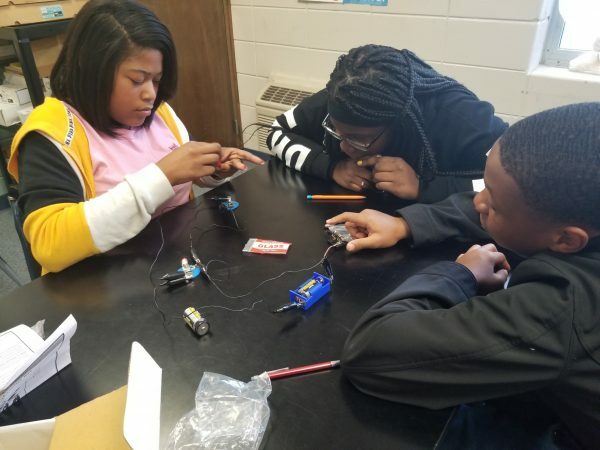 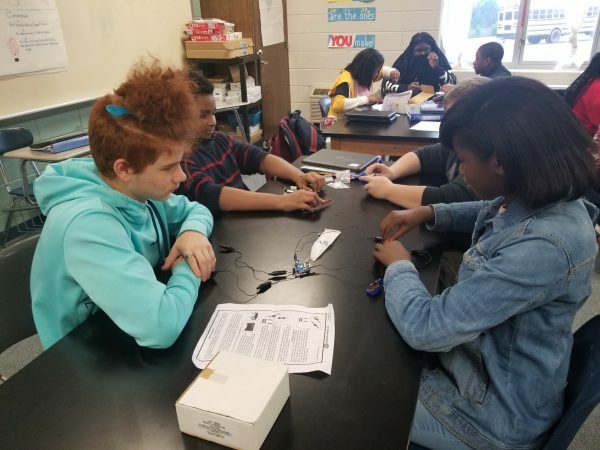 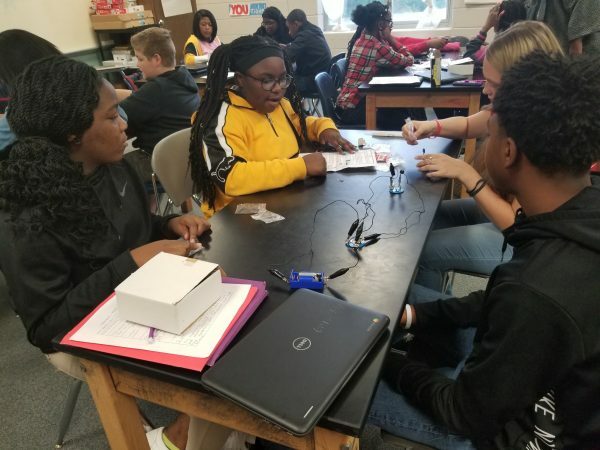 Ms. Grier’s 8th Grade Physical Science students are learning about series and parallel circuits. 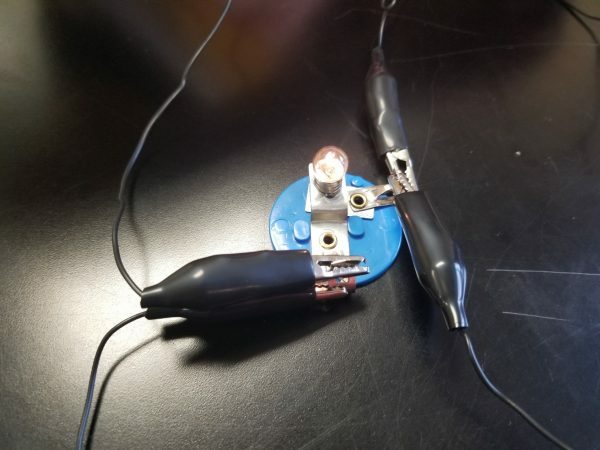 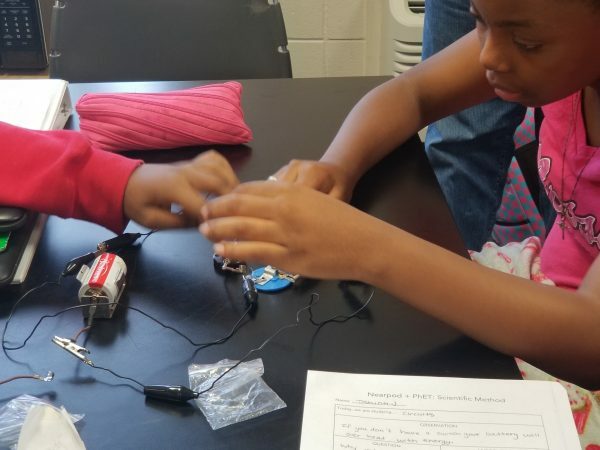 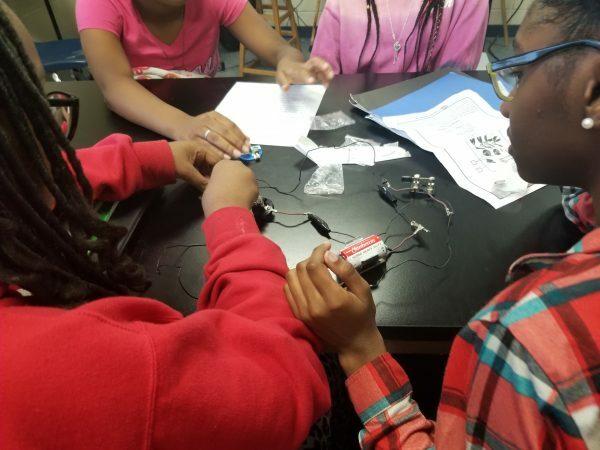 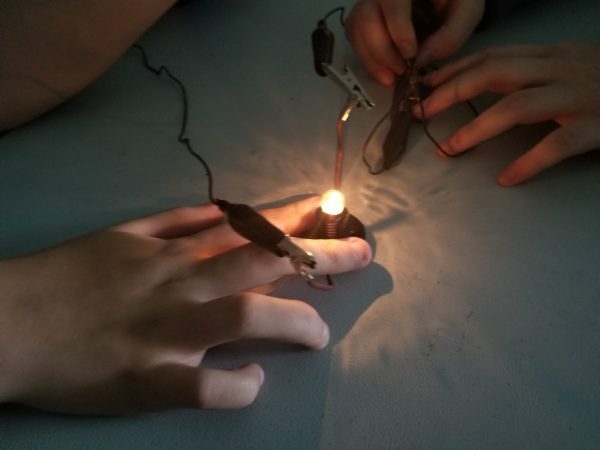 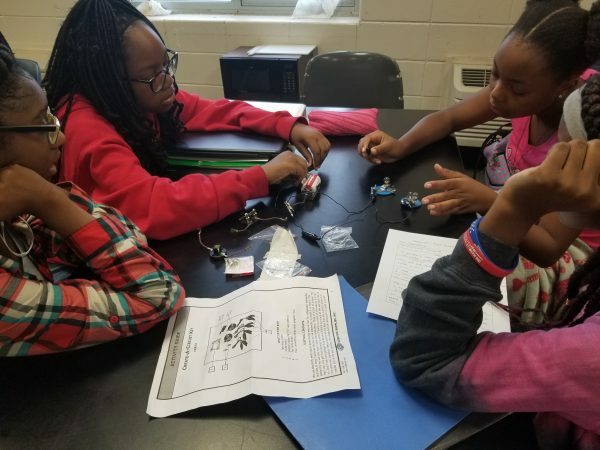 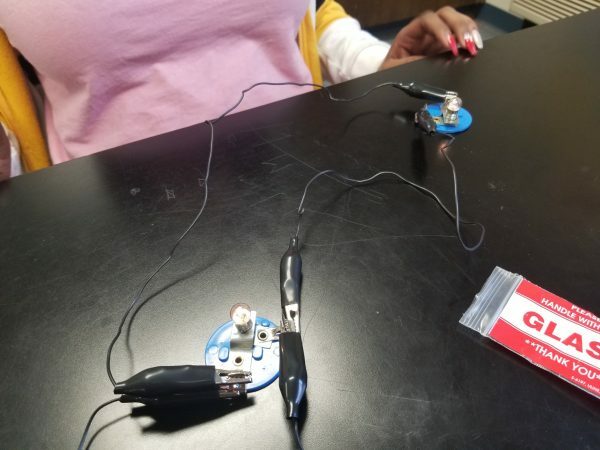 Students participated in a lab that required them to use their knowledge about circuits to make light bulbs light up. 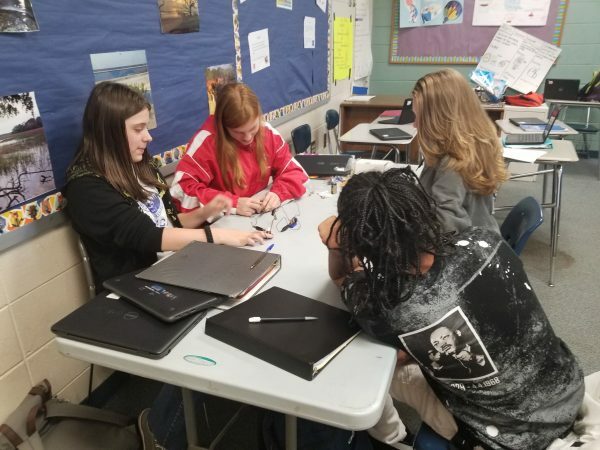 Keep up the great work students!